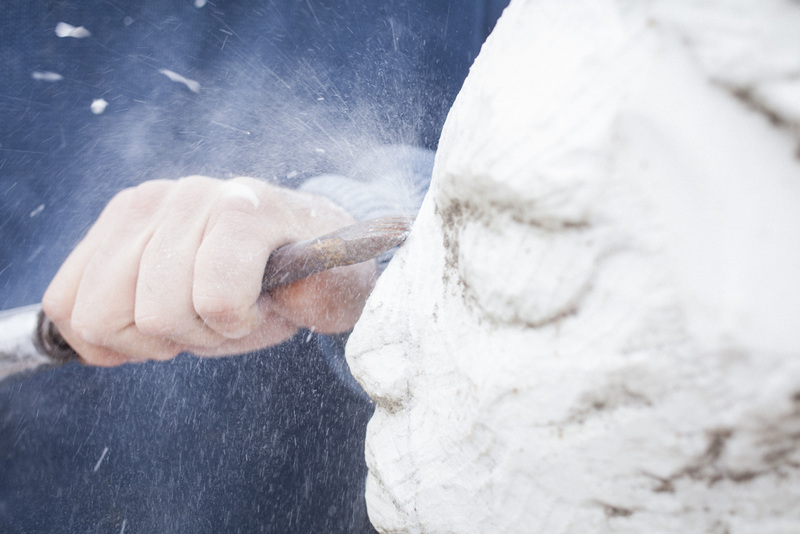 We offer a unique sculpting residency open for beginners, art lovers, and experienced artists. The course is intense but relaxing and connecting to nature, people and culture, as it gives the possibility to concentrate on your work in the wonderland of art-history and wild nature. 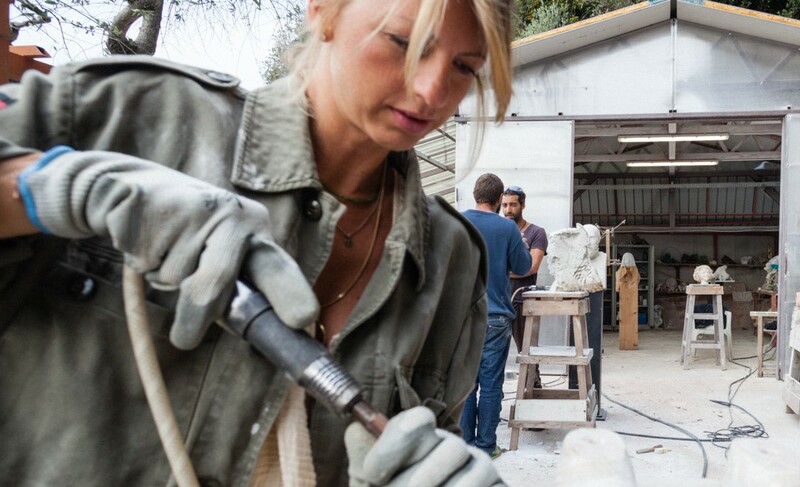 The courses aim to guide the student through stone sculpting from planning, making a small clay model to its realization in marble. 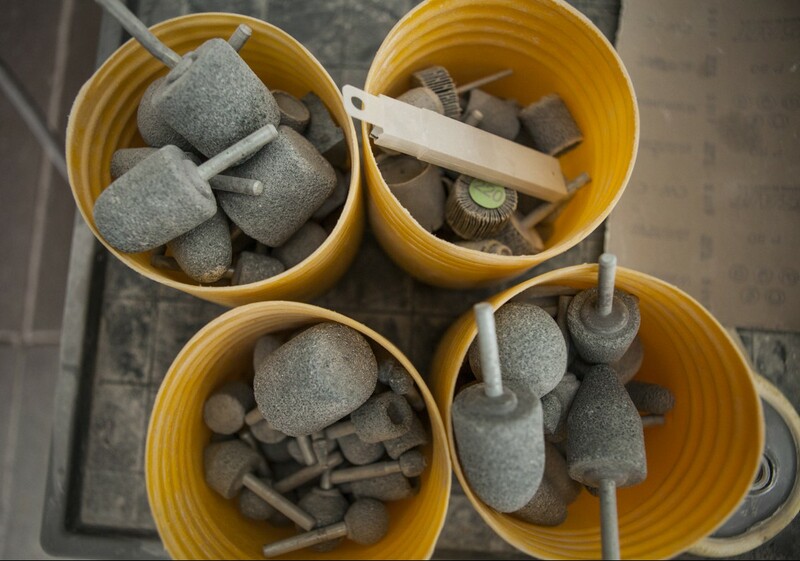 In order to be able to bring back home an elaborated art work we give the students the possibility to get their stone prepared by us so when they get to work the biggest pieces have already been taken off and they can proceed with finding forms and details. If you do not want to have the robot prepare your piece you can simply ignore this stage and you will start the work with traditional methods passing through all its phases. Each course begins on a Saturday and lasts for a period of 13 days. (see Dates of courses). Check in: Arrival is expected on Saturday. Check out: Accommodation should be cleared on Friday following the end of the course. For both Manual and mechanical work the studio will provide pneumatic and electrical hammers and electro-mechanical hammers.You may also utilize your own tools (for both manual and mechanical work), if they are considered safe. The option of using disk-cutting machines will be left to the teacher’s discretion based on his assessment of the student’s skills level. If found adequate, students are asked to provide their own disks or procure them locally. Students that will wish to buy their own tools will be able to do so in our trip to “Cuturi” ( http://www.cuturi.com ), a leader factory in pneumatic hammers, where they can enjoy a special group discount, or by ordering the tools through our personal supplier in the studio (only for a group order). A suitable piece of marble will be made available by the studio for practicing during the course, the cost of which is included in the course fee. An assortment of small regular and irregular blocks will be made available (maximum weight about 100 kilos) according to each student’s sketch of the artwork. Working with the highest regard to safety is extremely important and a legal obligation. Protective glasses, gloves, comfortable work clothing and sturdy shoes should be worn at all times. When using mechanical tools, protective earmuffs or plugs, and masks should also be used. Tuscany Stone Lab does not assume responsibility for any damage to persons or property by guests. All guests are advised to take out their own personal insurance to cover the duration of the course. Note that EEC guests from outside Italy should obtain the E111 health form. Tuscany Stone accepts no responsibility for any accidents or willful damage to persons or objects outside its control.